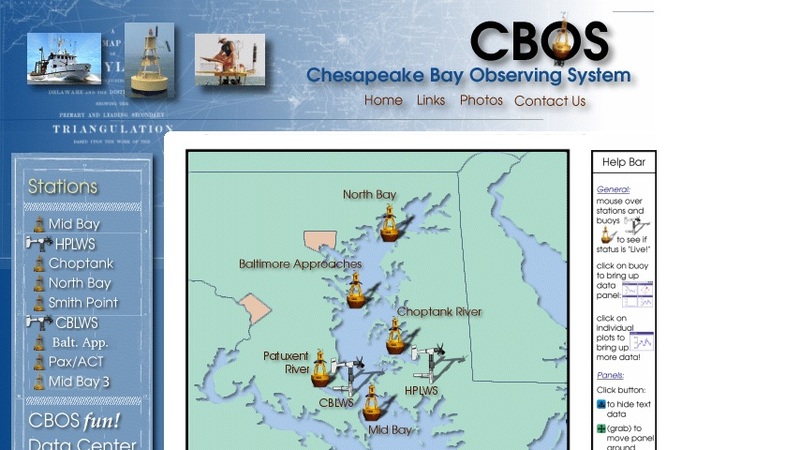 An interactive online database containing real-time and archived weather data from stations throughout Chesapeake Bay, with more on the way. Real time parameters include temperature, wind speed and direction, wind gusts, pressure, humidity, and rainfall amount. Archived data points consist of 21 different parameters recorded every 30 minutes.